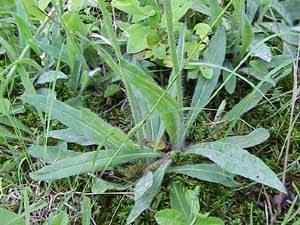 Description: From 1 to 3 feet tall. 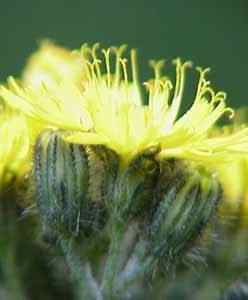 Leaves hairy on both sides, stems bristly with blackish hairs. 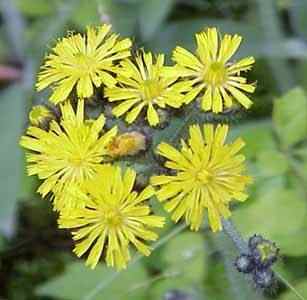 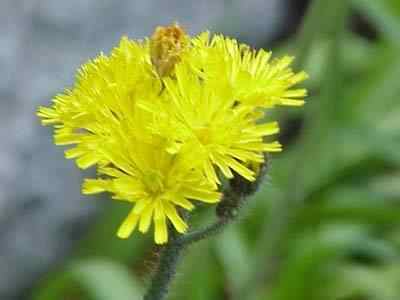 This is the yellow version of the Orange hawkweed "King Devil" known as The Devil's paint brush.